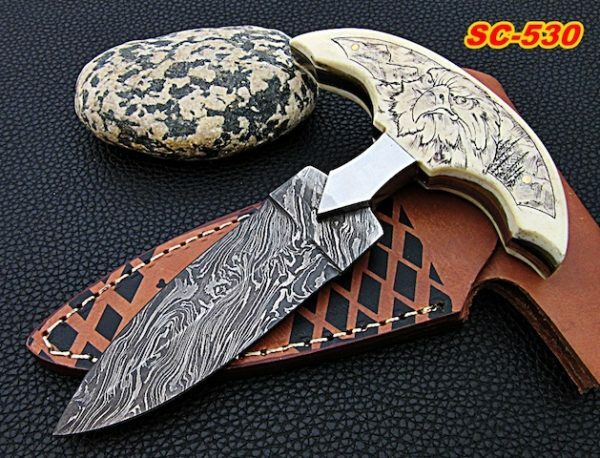 ** This item is FINAL SALE and may have slight scratches/scuffs/stain. 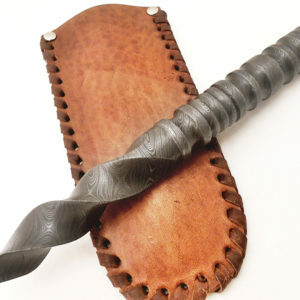 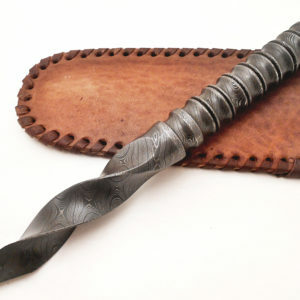 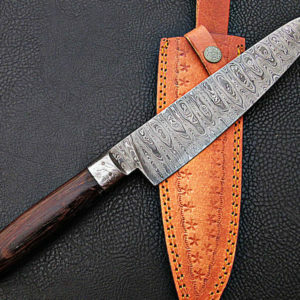 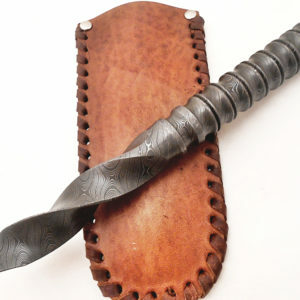 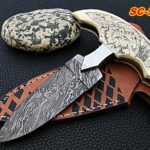 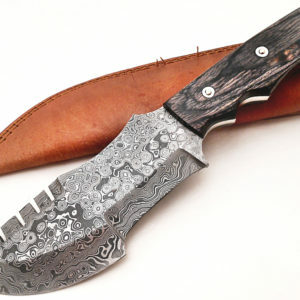 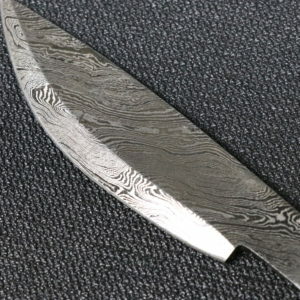 Materials; Damascus steel, leather sheath, Damascus Tracker knife, raindrop pattern steel, line indent designed blade, top spaced serrated blade dual sides Finger settings, three pins for enforced strength, everyday knife, great gifting knife. 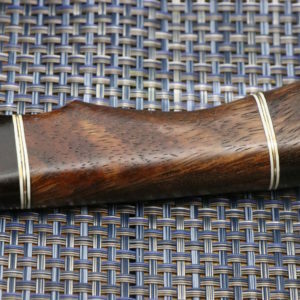 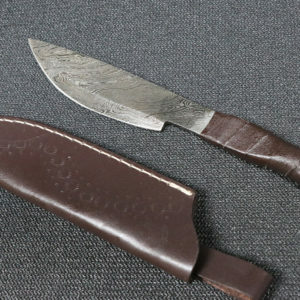 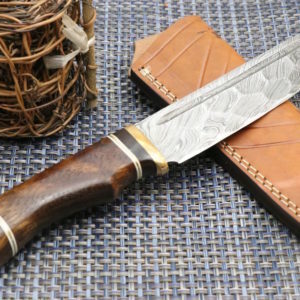 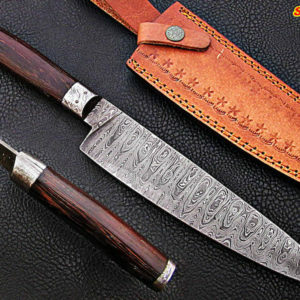 Materials; Damascus steel, leather sheath, Damascus knife, hand forged steel, deep line blade indent dual sides, Brass Finger Guard, Rose Wood handle, Brass with colored spacers, inserting hole, everyday knife, great gifting knife.